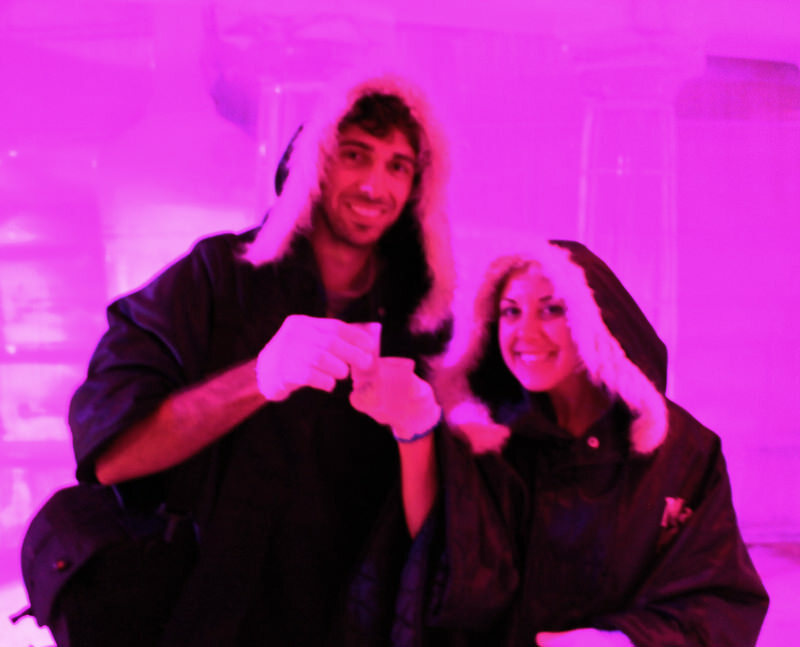 We’re Justin and Lauren and we love to travel! We are a couple who live together with our kitten, Chickpea. We work together as video editors in the media industry and save up to travel whenever we can, even if it means road trips exploring our region, or international travel to a far away destination. We love amazing scenery, outdoor adventures, the beauty of nature, exploring historical sites and learning about different cultures. We’re both vegans who are passionate for helping animals and the environment. We both live together by the lake in Mississauga, Ontario, Canada. Lauren is originally from the small town of Dundas, Ontario, and Justin is from Toronto. 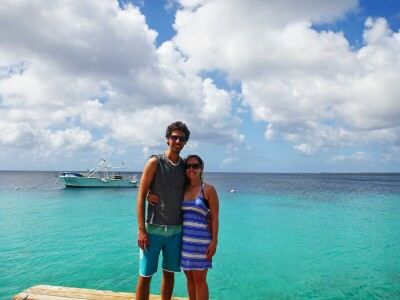 World Travellers: Justin plus Lauren, from Ontario, Canada. So far, we’ve visited places in Canada, the USA, and the Caribbean together. Right now, we’re back at home in Canada, saving and planning for our summer vacations! Our top 3 places include Montreal, Quebec, the island of Bonaire in the Caribbean, and Dominica. 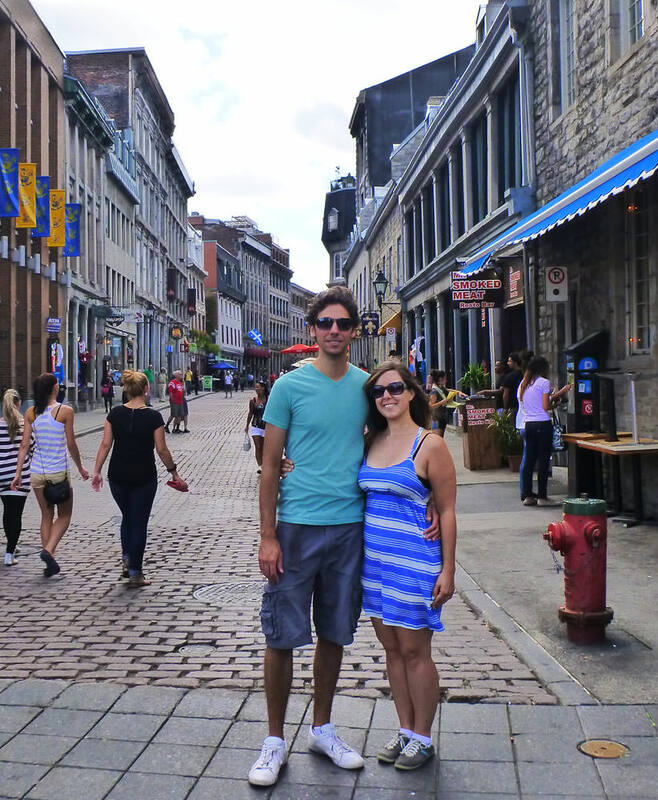 We loved visiting Montreal because it is a very charming city, particularly the Old Montreal and Old Port area. The cobblestone streets, restaurants and little cafes seem right out of Europe. We adored Montreal so much that we’re thinking of returning this summer, too! Bonaire is amazing for snorkeling and diving as it has incredible coral reefs and so many different fish! Bonaire was amazing for us because we were able to swim with sea turtles there. And Dominica we love for being known as the “Nature Island” in the Caribbean – it is the most untouched island in the area. The whole island is an oceanic rainforest with waterfalls, gorges, and hot springs to explore. We went whale and dolphin watching there and it was spectacular – definitely one of the best experiences of my life! 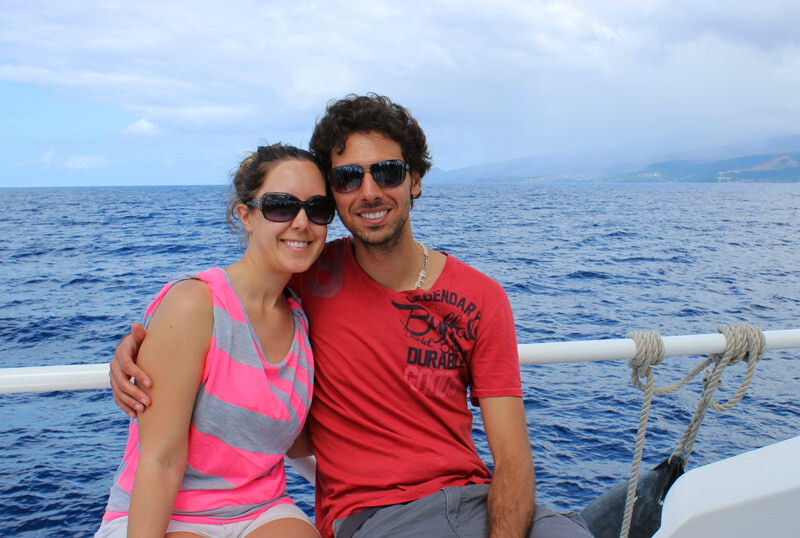 Our favorite travel experience so far was our 10-day Caribbean cruise that we took this past January. We were able to visit a new Caribbean island nearly every day! It was an easy and relaxing way to travel from place to place, and we got to see a lot in those ten days. We were able to go snorkeling a couple of times, go whale and dolphin watching, take a segway tour, and much more. It was also great to get away from the harsh Canadian winter that we’d been dealing with back at home. The cruise gave us a fantastic sampling of many Caribbean islands, and we’d love to experience a couple of places for a longer period of time next time around! You know, I don’t think that we’ve really had any bad travel experiences. There have been some times where our plans have changed due to circumstances out of our control, but we were able to go with the flow and adjust! In Grenada, our snorkeling tour was cancelled because the boat broke down. However, we were able to hop in a taxi that took us on a tour all around the island, which ended up being fantastic! We even speculated that we would have enjoyed the island tour more than the original plans of snorkeling because we got to see the beauty of Grenada – the waterfalls, the crater lake, and sample the delicious spices that are harvested there! We were able to chat with a few of the locals and our taxi driver told us all about what it is like to live there. What could have been our “worst” travel experience was actually turned into one of our best travel experiences! I think it is all about making the most of a situation because things aren’t always going to work out. 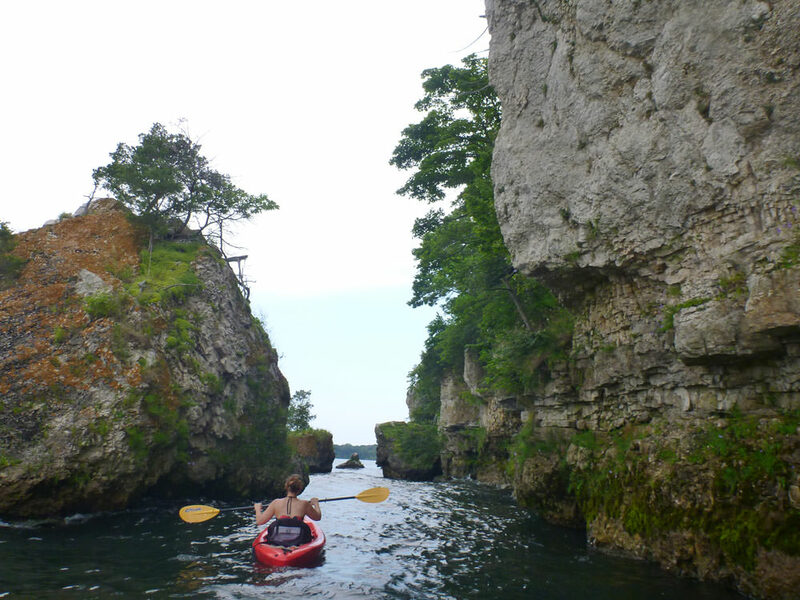 We were kayaking in Put-in-Bay, Ohio around Gibraltar Island and the shoreline of Put-in-Bay. We were warned that lots of water snakes lived in the lake as they were an endangered, protected species, meaning that no one would be allowed to harm the snakes. Anyway, it was really funny to see how scared Justin got over these water snakes! We would often see one poke its head out of the water from a distance, and then it would dive back down underwater as we approached. Justin got really freaked out the one time when a snake fully came out of the water and said “I saw it stick its tongue out!”. It was really funny to see Justin more scared of the snakes than I was! The scariest experience that I’ve had so far was being stung by a jellyfish while snorkeling in Aruba. We were swimming out in some choppy waters and I felt a painful sensation throughout my leg and on one of my fingers. We got back to our catamaran and the rash from the sting on my leg started to blister up. This scariest experience actually turned into one of our funnier experiences: the solution to a jellyfish sting in the eyes of our tour operator was to pour vodka all over my leg! But it actually worked quite well, as the blistering and swelling went down, and everything was fine a couple of hours later! We’ve never worked while on holidays – at the moment, we work really hard at home to save up for our travels! We both work as freelance video editors, although we work practically full time. We work together for the same company (which is also how we met!). This gives us the flexibility to book off whatever time we’d like to travel, while earning a decent income to support our travels. I have a separate savings account for travel where I put a set amount of money from each pay towards it. I also save some of my “Toonies” ($2 coins for those who aren’t familiar with Canadian currency!) into a coin bank and that goes towards travel. Also, I’m starting to minimize my life and will be selling things that don’t really matter to me anymore in order to reduce clutter and make a bit of extra cash, all of which will go towards future travel. I would recommend doing some research ahead of time if you can – read some blogs and gather some knowledge ahead of time (if that’s your style…some people would rather wing it, but you might miss out on some things this way!). I would also recommend going with the flow and exploring a place as much like a local as you can – walk around the city streets, chat with some people who live there, try to become lost…you might stumble upon some neat places that way! Also, I would recommend against trying to pack too many things into one day even though it might be tempting. You might have a more enjoyable experience taking things at a more relaxed pace – don’t try to race through a city and see 5 museums in one day, when it might be better to fully experience one. This June, we will be going to Watkins Glen and Ithaca, NY, USA to visit a charitable organization close to our hearts – Farm Sanctuary! We will be staying overnight on the farm, and exploring nearby hiking trails, gorges and waterfalls in Watkins Glen and Ithaca. In July, we are hoping to return to Montreal and also visit a new place, Quebec City. In August, we’re thinking about taking a road trip through parts of the USA, including Mammoth Cave in Kentucky. And, we’re saving up for a bigger trip for sometime in 2015 – Italy! 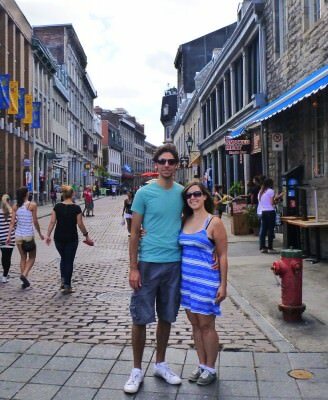 Justin Plus Lauren is a travel blog about a Canadian couple who love to travel together! We’ve been a couple since 2012 and hope to slowly travel all over the world together. We love to write in our travel blog to document our journeys. We’re also both passionate about photography and video editing. We love seeking out yummy vegan food on our journeys, as well as exploring new places, hiking, snorkeling, or whatever adventures we come across! Thanks to Justin and Lauren for being the latest in my series of World Travellers! If you travel the world and run a travel blog or are a travel writer, please get in touch, you can be featured (there’s a HUGE waiting list at present), either e-mail jonny (at) dontstopliving (dot) net or head to my contacts page and get connected! You can also subscribe to Don’t Stop Living by filling in the form below! Safe travels! I recently connected with these guys, and they are awesome. I also love that their cat is called Chickpea!